The headline attracted your attention – in truth what I am promoting is not the best song ever written, but it is jolly good! It is for me the best song of the year so far and pertinent to my sense of being prompted to live life to the fullest… and it is by a band that does play the worst song ever written in their concerts! The song is the last one in a very wonderful new album by The Decemberists called ‘What A Terrible World, What A Beautiful World’ and is very well named for the last song… ‘A Beginning Song’. It has the chorus ‘I’ve been waiting, should I be waiting’ and ‘I’ve been wanting should I be wanting when all around me…’ and then you have to wait until the end to get them to finish the question. Should I be waiting or wanting when basically everything is already here? Even the light is here…so live in it! In a season where people have been cultivated as consumers there is always a hunger for more and more and more… but actually enough is already given…make something of that! I hope you enjoy it! Very kindly, the words are included in the video! 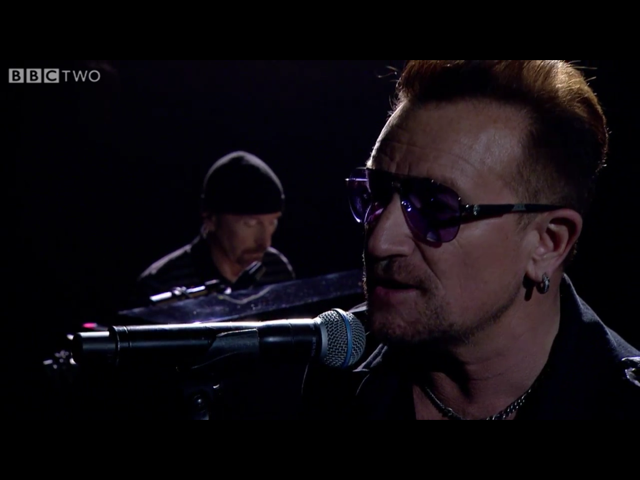 A stunning version – Bono’s voice arguably at its best ever. I am still getting my head around the meaning – it reminds me of Pop’s Staring At The Sun – people chasing after what looks like it matters but it doesn’t really matter and thereby missing the point. I hear this as a call to humility for those who preach or wander around with their lists of certitudes about God. One, we only think we hear The Captain’s voice, we still have to take care that we offer caution when we think we hear things clearly – the voice is not often clear – if it was we would become tyrants! I think that God and God alone is able to bear such power and remain healthy – the technique being dying to self! Two, it is hard to listen when you are doing the talking and have centre stage… be careful if a community has given you authority to speak. I figure this has been Bono’s hardest lesson given who he cavorts with! There’s a great story of Bono meeting Archbishop Desmond Tutu and suggesting that ‘Arch’ must have his prayer time squeezed with all he does… Tutu’s reply was that he has to pray longer given what responsibility he carries – in other words – if you are preaching you have to double the listening. ‘One mouth, two ears’ is one of my personal mottoes that I generally fail to keep! Three: whatever we think we know about God is incredibly limited. We cannot reach further than what the breaking wave can up the shoreline… we have to live with that and reckon with that – but it is enough. Another of my mottoes is – ‘I don’t know much but I know enough to know’ – but I admit it is barely enough – thus before those limits I am called to be humble and careful; to listen and to know my limitations. Apparently U2 are working on another album called Songs of Experience – it seems as if they have prepared listeners for this with the bittersweet tone of the last group of Songs of Innocence. The album starts buoyantly but ends with some haunting themes – one (in Sleep Like A Baby Tonight) is clergy abuse – two (in The Troubles) is domestic violence. The haunting chant sung by Swedish singer Lykke Li says it all…’Somebody stepped inside your soul, little by little they robbed and stole till someone else was in control.’ It is so utterly sad and the musicality provides the perfect platform for this haunting. Yet it is also hopeful – Bono wrestles hope from the chant – ‘I have a will for survival’ – ‘God knows it’s not easy taking on the shape of someone else’s pain, God now you can see me, I’m naked and I’m not afraid, my body’s sacred and I’m not ashamed.’ Beautiful hope! I guess that the strange album cover with Larry protecting his son indicates why the band have embarked on this theme – when U2 were young they were aware of being surrounded by various forms of violence. Maybe they are bringing the past into the light in the hope of a better day for their children’s generation. I wonder how Songs of Experience will deal with the difference between hope and reality – especially in an Ireland that is economically hard-hit in a similar way to when they were young. I’ve been enjoying U2’s Songs of Innocence album – kindly donated into my life by Apple! There is so much to enthuse about. The standout track for me so far is Sleep Like A Baby Tonight. Musically is has a lilting lullaby-like style – mellow… but there is a deep dark element of menace in it that The Edge manages to capture with some simple but astounding guitar work. The lead guitar solo late in the piece sounds as if he is channeling an old African-American playing mournful blues on his muted trumpet – rich, wide, sad, broken. The sense of menace in the music is reflective of what informed the writing of the song – the clergy sexual abuse of children and young adults that has transpired to have been a dark undercurrent in the church the the years that shaped and formed this group of men into a band. It may not have impacted them individually but it impacted the lives of many around them and thereby shaped them. The menace,captured so well in the lyrics and the music, makes this song extraordinary. It is one thing to rage with loud chords and angry vocals – but to reflect the menace gently and patiently but pointedly indicates the depth of wisdom that U2 are tapping into this album. Anne and I were fortunate enough to join some Dunedin friends for a weekend at Wanaka and share Saturday afternoon with 15,000 others at the Gibbston Valley concert featuring America, Bachman & Turner, and Pat Benatar & Neil Giraldo. 1. you kind of had to be 50 or thereabouts to have your heart warmed… 15,000 were there and my guess is that 14,900 were within 4-5 years of my age! Kind of creepy really – we tended to look our ages! 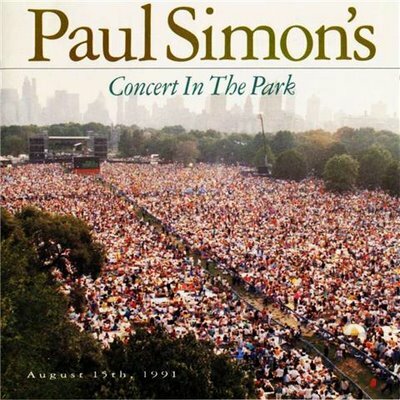 2. the music was great – I mean it… but there is one truth that hadn’t really dawned on me until the musicians came on stage – the musicians were at least 8 years older than me when they were hitting it big in the 70’s. Actually Pat was 8 years older than me – all the other guys were 15+ years older… and they kind of looked it, their voices were less what they once were, and they had learned to minimise movement in order to last the distance… but they were still wonderful musicians – their playing was exemplary. 3. the crowd were pretty good – maybe they could not move like they once did on dance floors (and honestly, people my age shouldn’t hang out in mosh pits! ), but they were happy in a worn down by life kind of way. It was a good day away from the kids and grandkids. There might have been a bit too much wine consumed in some quarters, but I guess the heat of the day called for desperate measures! 4. I wondered what rest homes will be like in 30 years… will bands come and play ‘We belong’ ‘Horse with no name’ and ‘You ain’t seen nothing yet’ to entertain us? 5. The landscape – wonderful – dry, barren, hard and beautiful. 6. America – first up and the big surprise for me. They were very very good. These guys said they have been performing at least 100 concerts a year for over 40 years! I recognised most of the songs, they had been very much in the background of my youth and not really to my taste – but I was really impressed. The highlights for me were a few tracks from an album of songs they had released recently from a list of songs they wished they had written (other people’s stuff) – excellently played guys!! And, the horse still has no name! 7. Bachman + Turner. They were the reason I organised my mates from Dunedin some time last year. Mark, Graham and I all had the Not Fragile album in 1974 – our 13-year-old minds being formed by crap lyrics but great guitars, drums and bass. CF Turner still sounds as gruff as he always did and he looks like he might well have driven long-haul trucks across the prairies, but his bass playing was astounding and he loved his day job! Randy Bachman was puffing a bit at times and had minimised his movements – not much show but stunning guitar work. Awesome guys! Awesome! Highlights: CF Turner still gruff, and Randy looking like an old man but still working magic with that guitar. 8. Pat Benatar & Neil Giraldo – a wee bit too loud, but punchy and energetic. The classics were fantastic and a whole lot of wahine (women) sang and bopped in a floppy kind of way in the extended mosh area and it was obvious that Pat was big in their early years. Pat looked great and sang jolly well for a 60-year-old – it was good to be around this couple who have an obviously great and long relationship. Highlights: We Belong and Heartbreaker with a brilliant version of Johnny Cash’s Ring of Fire in the middle. 9. Great venue, but absolute rubbish car marshalling at the end – honestly, it was chaos and incompetence mixed with angry and frustrated drivers with carloads of often too much alcohol-filled passengers – I did my bit to help with marshalling and after an hour and ten minutes our cars had still not moved – fortunately we were rescued by the discovery of a back way out of the paddock. Please, please, please next time charge us $5 more and employ some specialists to come up with a better plan… actually, just come up with a plan because there surely wasn’t a plan that day! One intimidated, overwhelmed, and incompetent teenager in a fluro-vest is not a plan! 10. Who’s next? Can I suggest Mark Knopfler and Talking Heads? Though Hothouse Flowers would be great! 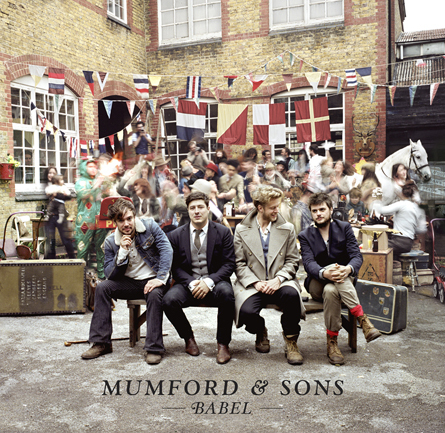 The new Mumford & Sons album Babel is just getting better the more I listen to it. Rarely does a band’s second album surpass the first, and maybe I don’t have enough perspective yet, but the songs on Babel are stunning with melodies and words that stick in my head better than the Sigh No More tracks. I think this band have taken everything up a notch. Quite amazing! The stand-out tracks after quite a few good listens are: Ghosts that we Knew (the words and music are simply sublime – and the implicit theme of forgiveness of what has been – these ghosts – is essential if we are to live freely and in the light), Below my Feet (what an anthem of hope! ), I Will Wait, and, the sequence of tracks 5,6&7 (Ghosts that we Knew, Lover of the Light, & Lover’s Eyes which I hope they play one after the other in the concert next month because the links between them are delicious! 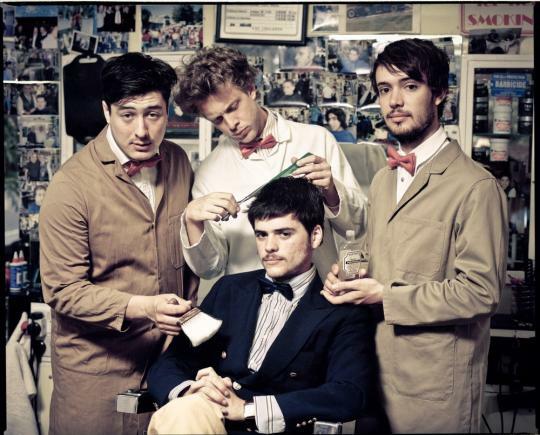 I am loving the new Mumford & Sons album, Babel. I received a deluxe version on Saturday (which has three extra tracks including The Boxer with Paul Simon!). It is early days but three tracks are really standing out – the catchy I Will Wait, the thoughtful Lover of the Light, and the extra track Where Are You Now. 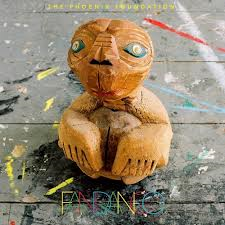 While there is a degree of ‘same-ness’ to their first album on the first few listens – the differences emerge and now leave a lovely aftertaste, or better, a lovely ear-worm (the sound that stays even in the silence – this time a good one! This all helps to maintain my self-imposed ‘Celine-free’ ear-worm zone). The lyrics hold piles of small gems – many in the theological/faith category. The tunes are mixed in style but with their trademark folk sound. If you enjoyed Sigh No More, you will also enjoy Babel. The New Zealand concert to come is much-anticipated!!!! I am loving every track off Elbow’s The Seldom Seen Kid. Every track! They performed the album recently with the BBC orchestra and choir – it is stunning. Youtube have tracks from it, among the most adored is their opening track off the album, starlings… http://www.youtube.com/watch?v=k4YdmSclJA8 This band has become a firm favourite at our place, the wry lyrics are wonderful as well as the beautiful music. And Richard Tee on piano along with Steve Gadd on drums are legendary!